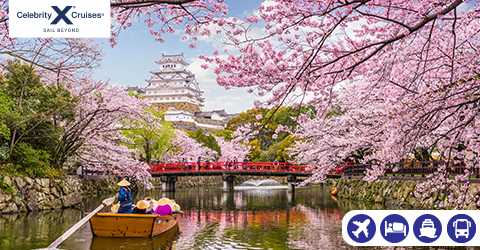 Score yourself amazing savings with our exclusive cruise and tour packages, the perfect combo to get the best of both land and sea! 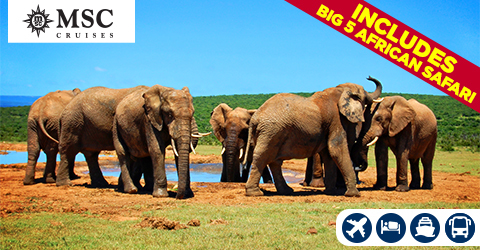 Whether it’s venturing in the Kruger Safari in search of Africa’s Big 5 or taking in the breathtaking antiquity behind China’s limitless history, we guarantee we’ve got a cruise and tour package for every traveller. Cruise1st Exclusive 16 night Fly/Stay/Cruise/Tour package from $2399pp! 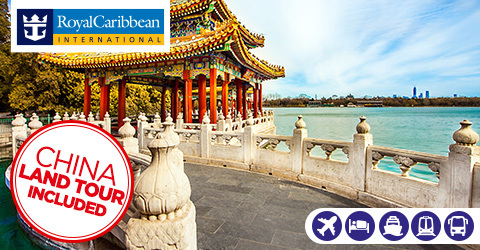 Discover China with your 7 night guided tour including hotel stays in Hangzhou, Suzhou, Shanghai and Beijing. Tour highlights include a boat ride on West Lake, High Speed bullet train experience, Tiananmen Square, The Great Wall of China and much more! 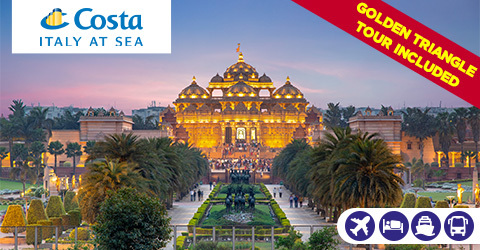 Travel through a land full of opulence and splendour on this tour, loaded with unforgettable highlights including visiting Old and New Delhi, heritage tours and even a Sunrise Grand Tour of Taj Mahal! Take advantage of our low deposit offer on this incredible cruise holiday! 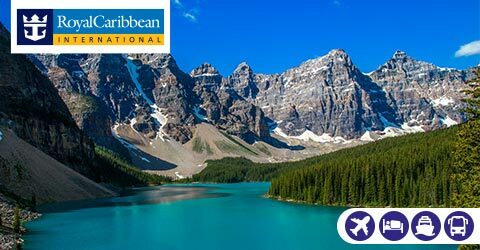 Tour highlights include visiting Head-Smashed-In Buffalo Jump World Heritage Site, Banff National Park, Lake Louise, Columbia Icefield (optional) and plus loads more! Explore the beauty of Buenos Aires, the wonderful views on both sides of Iguazu Falls, plus many more exciting sites with a 6-night guided tour! 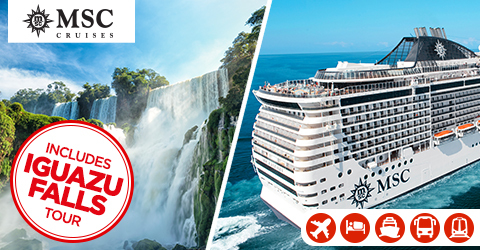 Cruise onboard the stylish and ecological MSC Fantasia for 19 nights from the stunning Rio de Janeiro to the bustling Genoa all on an exclusive Oceanview price! Indulge in luxury on your first class rail journey from Genoa to Milan where you will stay for a further 3 nights to cap off your unforgettable holiday! Experience the elegance onboard MSC Orchestra as she visits Durban, Port Victoria, Suez Canal, Venice plus lots more on an exclusive Oceanview price! *Savings are based on the retail price on comparable packages as at 05.04.19. Prices are subject to change without notice as determined by the cruise line and other travel partners.